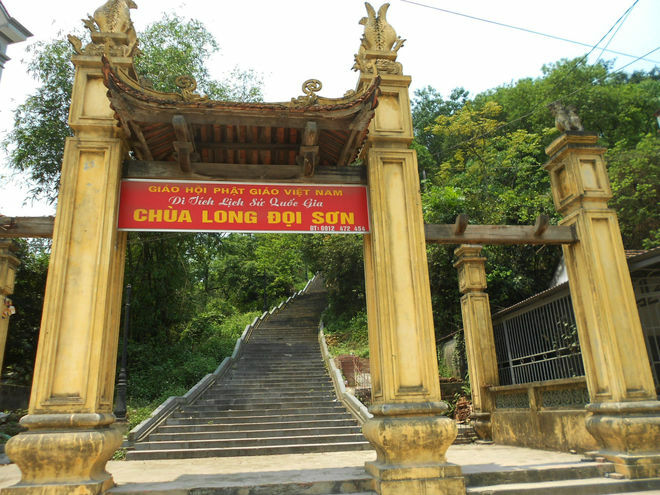 Long Doi Son Pagoda, formally called Dien Linh, also known as Doi Pagoda, is located on Mount Doi, Doi Son ward, Duy Tien district, Ha Nam province. 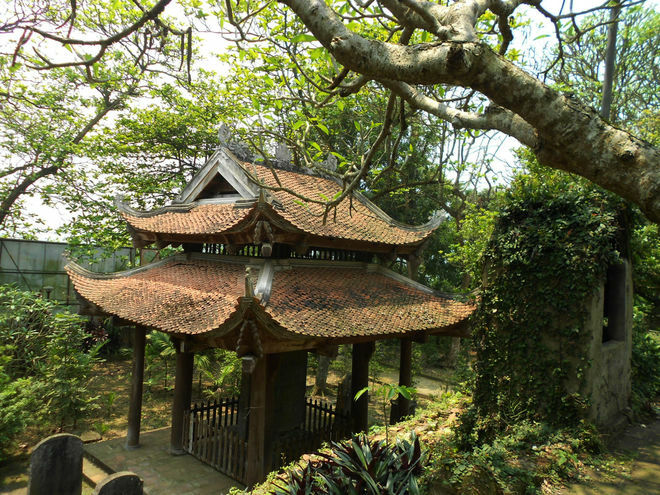 The record indicates the time the pagoda was built range from 1054 to 1058 in Ly Dynasty during the reign of Emperor Ly Thanh Tong. 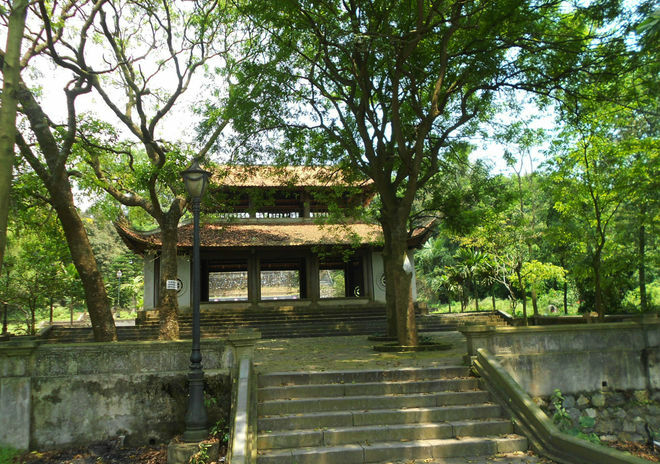 During the reign of Emperor Ly Nhan Tong, the pagoda was continued to be built and expanded, notably is Dien Linh Tower was built from 1118 to 1121. Visiting Doi Pagoda, visitors from Hanoi have to travel on Highway 1 to the town of Dong Van, and then turn left about 8 km to reach Hoa Mac. 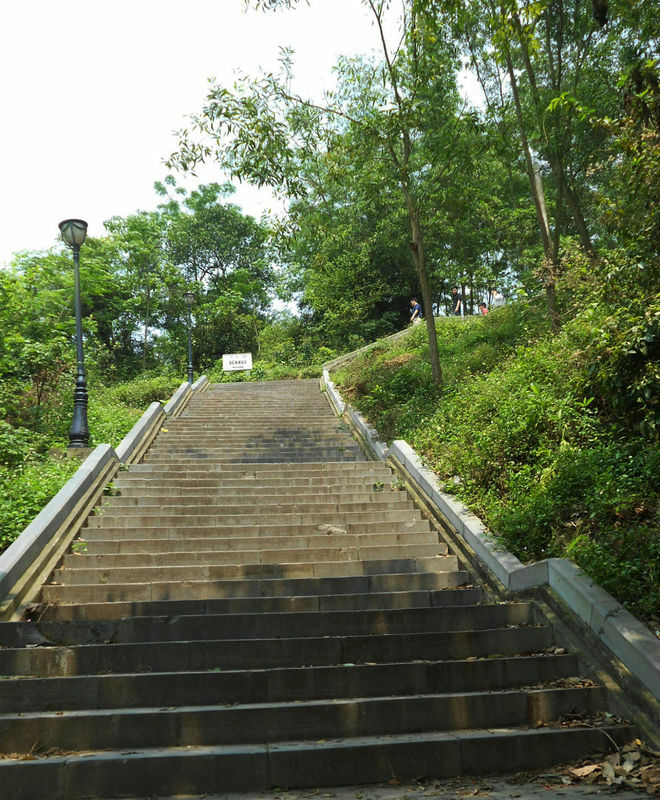 The pagoda is located on top of the mountain, therefore many visitors have to walk on a 300-stone-steps trail to reach the top. Remember to watch the scene during the journey to the top. 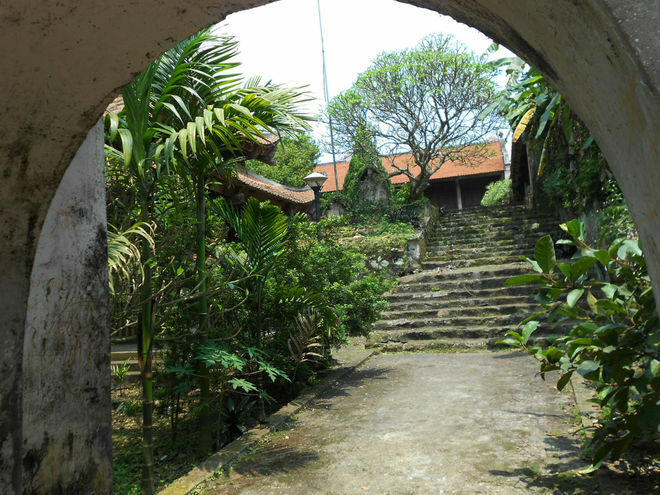 At the entrance to the pagoda are many ancient trees that have been here for centuries. This is also a good place to rest after a long journey. 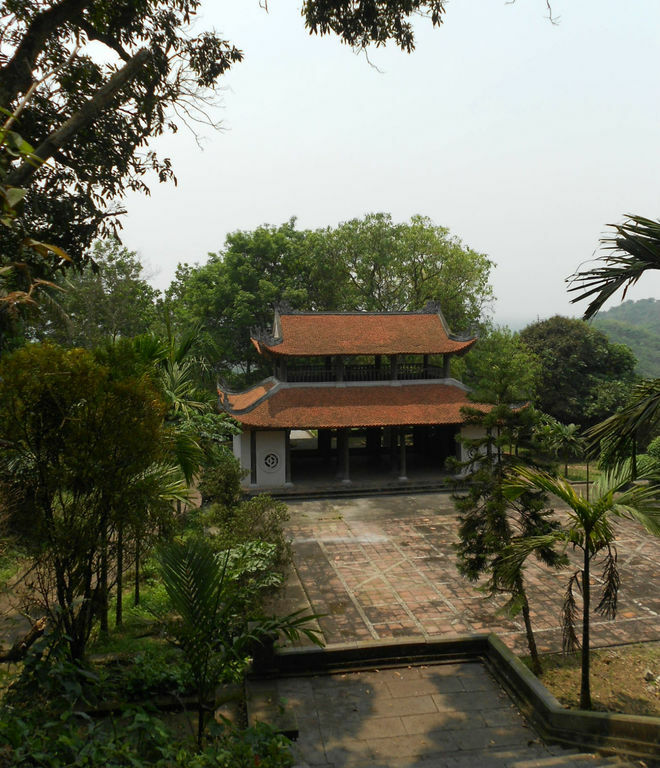 It is easy to notice the serenity when visiting Doi Pagoda. 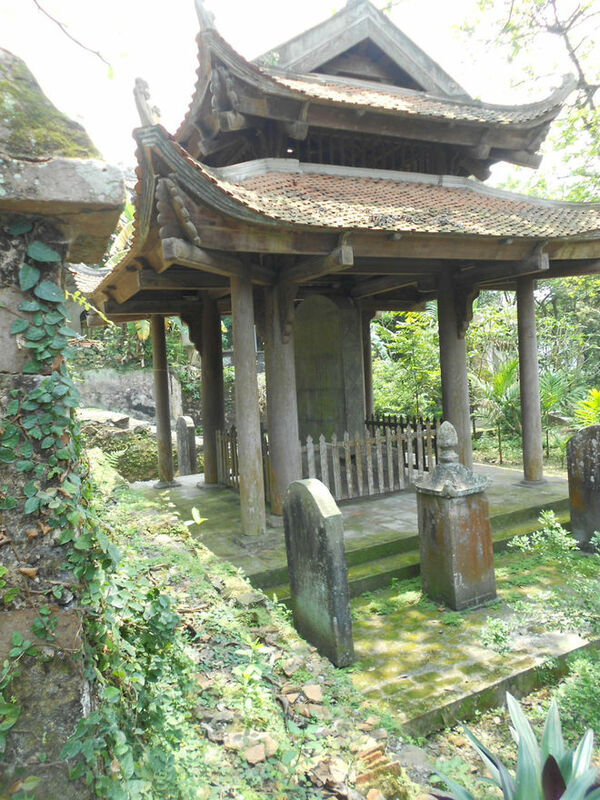 The moss covered many structures of the pagoda, creating a sense of ancient in this place. Although the pagoda has been through many restorations due to the wet environment, Doi Pagoda still keeps its ancient architecture. 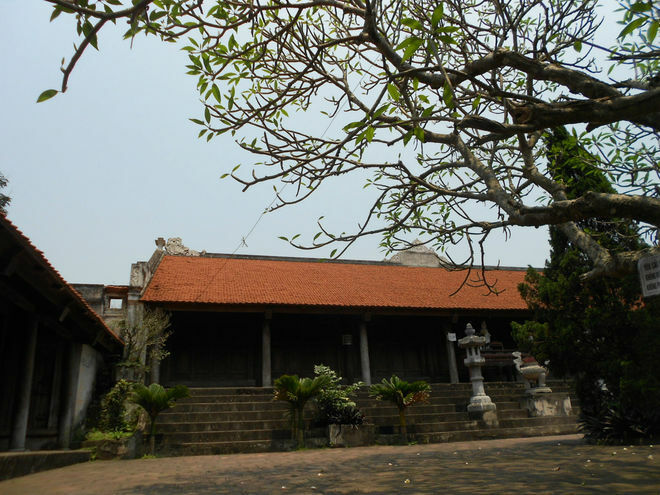 At the main gate, in front of the main hall is the famous Sung Thien Dien Linh tombstone created during the Ly Dynasty. 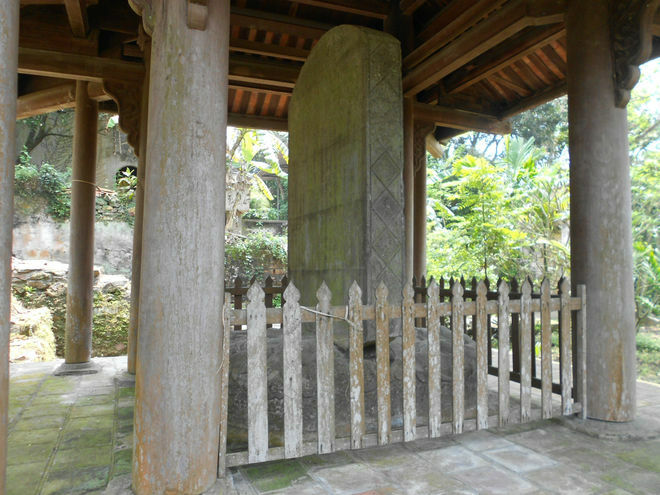 The tombstone is 2.5m high, 1.65m wide and 0.3m thick. 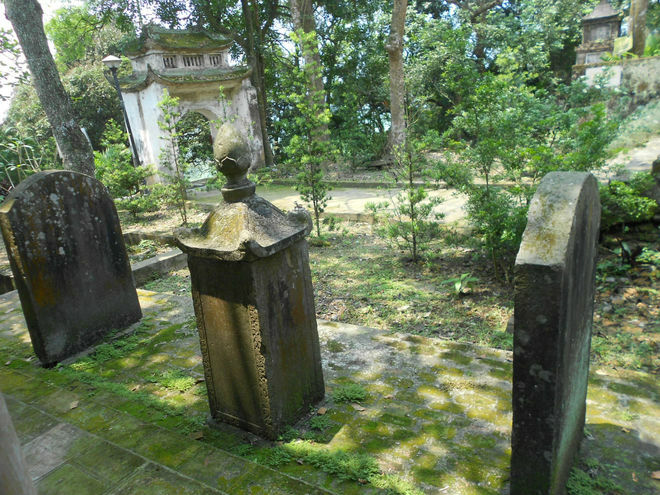 The pedestal of the tombstone is a 2.4 m long rectangle stone crafted into two dragons. The front of the stone is divided into two halves: one is to craft the dragon with its tail on the back. On March 17, every lunar year, Doi Pagoda attracts many locals to come to worship and pray.